At Newtown Physio On Alice, we often get asked “Does sitting cause my low back pain?” To answer this question let’s talk about this topic in depth. In recent years sitting has been linked to an array of health issues. From heart problems, diabetes, depression and back pain- it seems to be the cause of most modern health concerns. This has led sitting been coined as the ‘new smoking.’ Physiotherapists are now spending more time than ever reviewing office set ups and giving postural advice. Surely the answer to all of this is that we should just stop sitting? Not exactly, the relationship between sitting and health is far more complex than this. 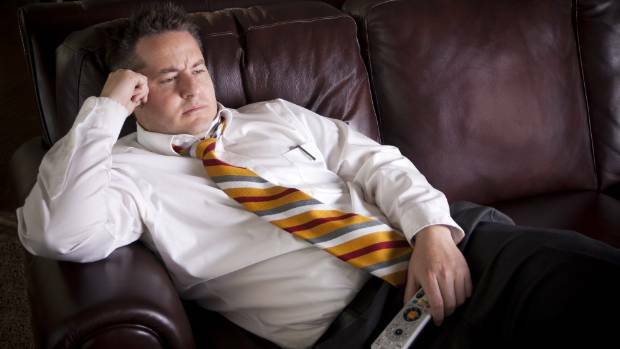 I would argue that sitting isn’t the enemy- but rather our newly adopted sedentary lifestyles. Australians have stopped moving and exercising. 70% of us complete ‘no or low physical activity’. So, of course, if we’re spending most of the day in one position- whether this is standing, sitting or laying down it is going to lead to health issues and/or pain. Let’s analyse why you may be experiencing lower back pain while you sit and provide some easy solutions to this issue. This question is more than a simple yes or no answer. Yes, sitting could be a factor in why someone has lower back pain. However, lower back pain tends to be caused by a variety of factors. Lower back pain is complex, even things like our mood, smoking status and sleeping habits will have a role in the development of lumbar pain. So why does your back hurt when you sit all day? The first, and most important factor, is humans are designed to move. Our bodies are extremely sensitive to exercise and movement in a positive way. Just 30 minutes of exercise a day has a huge, positive impact on our well being and pain levels. This doesn’t need to be specific back exercises, just getting out and going for a walk will be of benefit. 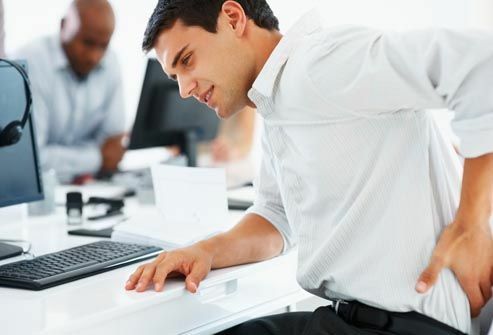 If you’re sitting when travelling to and from work, then all day in an office and returning home to sit in front of the TV then it’s no surprise that your back will start to hurt. It’s your body’s way of reminding you to move! The human body is adaptive. If you sit all day the body will tighten certain muscle groups, switch off other muscle groups and adjust posture to make sitting as easy as possible. This is to conserve energy for your benefit in the short term, but detrimental in the long term if you don’t actively address these areas of tightness or weakness. Does poor posture cause lower back pain? At this stage the research evidence on this topic is unclear. There have been a number of research articles performed on this topic and the good news is that no correlation between spinal alignment, spine symmetry, leg length or pelvic position and low back pain has been found. This means that lower back pain is not caused by how your bones and spine are aligned. How to address low back pain that may be caused by sitting/inactivity? Move as often as you can. It’s difficult to keep moving in a seated environment. We’re seeing a rise in open space offices and standing desks which is a positive start. Simple things like walking at lunch, taking the stairs and standing on the train/bus when travelling to work are great ways to reduce sitting time. Address low back muscle weakness and tightness. There are simple stretches and strengthening exercises that your Newtown Physio can teach you to help overcome these imbalances. Notice the warning signs. It’s important to identify early if you are experiencing lower back pain with sitting. Ensure that your office set up is ergonomical and start moving. If this doesn’t help then it’s best to be assessed by a physiotherapist as soon as possible.